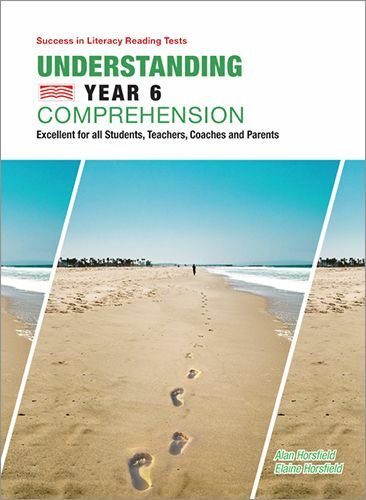 Success in Literacy Reading Tests – Understanding Year 6 Comprehension is excellent for all students, teachers, coaches and parents. produced by the same editor and publisher as the popular Understanding Maths series of books. Suitable for students engaged in reading comprehension tests, external tests (including NAPLAN, PAT, ACER, AusVELS and ISA) as well as other state based tests (selective and scholarship) and school / class based tests. Insight Text Guides - Richard III is designed to help secondary English students understand and analyse the text. This comprehensive study guide to William Shakespeare's play contains detailed character and chapter analysis and explores genre, structure, themes and language. Essay questions and sample answers help to prepare students for creating written responses to the text. Insight Text Guides - Lantana is designed to help secondary English students understand and analyse the text. This comprehensive study guide to the Australian film directed by Ray Lawrence contains detailed character and chapter analysis and explores genre, structure, themes and language. Essay questions and sample answers help to prepare students for creating written responses to the text. This study guide will provide a better understanding of the themes, issues, characters and important quotes with 10 essay samples. This book contains: A List of Important Quotes An Analysis of Characters The Themes 10 Essay Samples. The SSRC book cover may be different to the book available for purchase.